Swedenborg Foundation Publishers, 9780877853343, 304pp. The third book in Naomi Gladish Smith’s acclaimed series about souls in the afterlife follows a new group of seekers on their journey to heaven—or hell. Kate Douglas, who spent a lifetime on earth teaching young students, in death finds herself at the Academy, a school for new arrivals in the afterlife. Barely accustomed to her new existence, she’s confronted with the soul of her troubled nephew Dan, who took his own life. Dan struggles to find his path in this new world, encountering the innocent Birgit, who in life was an abused girl, and the beautiful Pegeen, who draws him into the dangerous territory bordering hell. But even as Kate teams up with her friend Frank and budding angel Percy to try to help Dan face his inner demons, Kate must deal with her own issues: her helplessness at watching her husband Howard, still on earth and dying of a degenerative disease; her attraction to Frank; and an assignment to guide a particularly difficult new arrival named Janet. Their fates intertwine as each searches within to discover whether they ultimately bound for heaven or hell. Inspired by Emanuel Swedenborg’s descriptions of the afterlife, Smith paints a vivid picture of the world of spirits, a spiritual realm between heaven and hell where inner truths are revealed and the distance between any two people is no more than a thought. Naomi Gladish Smith, a former teacher, is the author of "The Arrivals" (2004) and "The Wanderers" (2007), which are also Swedenborgian novels. She also wrote the mystery "Buried Remembrance "(1977) and numerous essays and short stories that have been published in the annual anthology Chrysalis Reader, "The Christian Science Monitor," "Interludes Magazine," and a "Journal of the American Medical Association "anthology. She is also a regular contributor to WBEZ, the National Public Radio station in Chicago, Illinois. She currently divides her time between Glenview, Illinois, and Lake Worth, Florida. 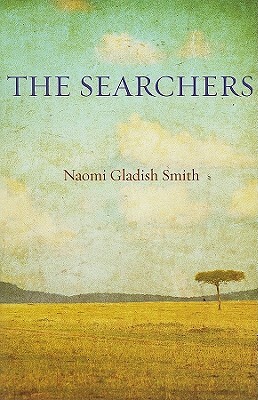 In The Searchers, Naomi Gladish Smith presents an otherworldly mystery in which readers and characters alike strive to figure out “how things work” in the “intermediate world.” Through a series of convincing details, Smith constructs a carefully built and fully inhabited realm that encourages even a skeptic to willingly accompany her characters on their journey toward self-discovery and spiritual completion. The process of answering the questions that plagued them in life draws the novel toward the most time-honored and satisfying of all conclusions: good wins out, order is restored, and love prevails.